After trying to connect with a couple of our friends for a while, with whom we usually try new Mexican restaurants with, we finally got this past Saturday night lined up. Nick and his wife invited us over for dinner this time. I told him I’d make some dessert. When he asked if ribs would be an acceptable dinner my response was “RIB ME!! 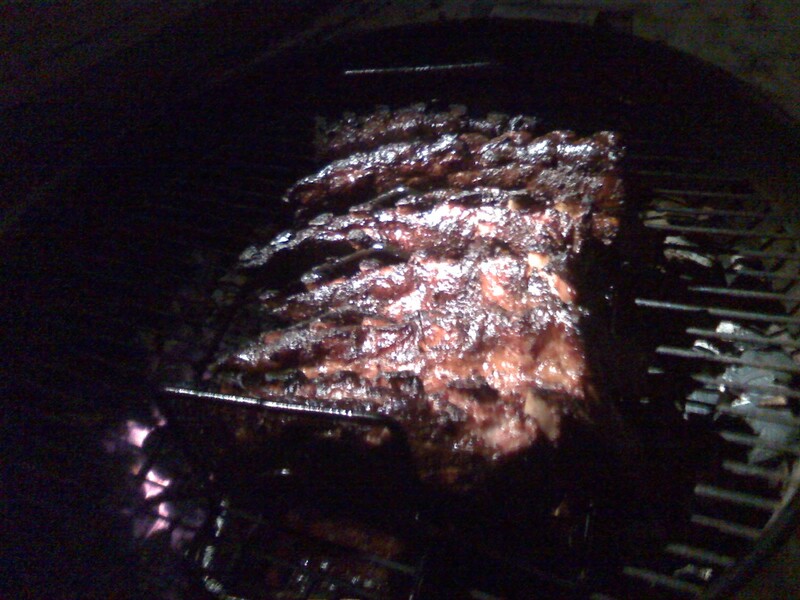 !” You can’t beat slow smoking baby back ribs outside in 10 degree weather. All you can do is hope your cold beer is enough to warm you up until the ribs get in your guts. At any rate, that’s what happened. 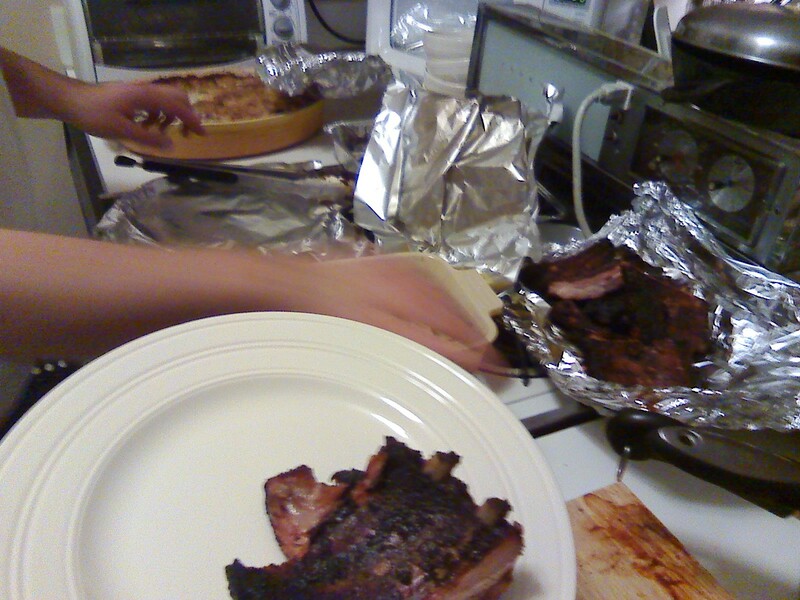 Nick smoked some ribs, his wife made a couple of sides, and I brought a cake. He did the ribs right. Not sure what his recipe was, but he made a nice spice rub and then placed his ribs on a rack in his grill. The hot coals were spread around the sides of the grill while he placed a drip pan filled with some cider vinegar in the middle. The indirect heat kept the ribs from burning, the cider vinegar evaporated into the meat adding some flavor and keeping the meat moist, and the rack allowed the ribs to kind of baste themselves. 3 hours under the hood and they were ready to go. After some chips, carrots, and dip (along with some alcohol), dinner was served. 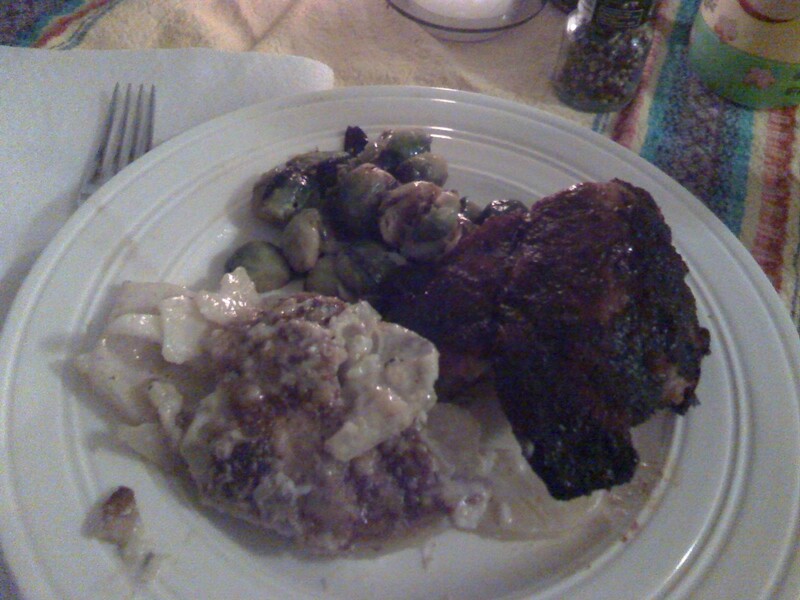 Nick chopped up the ribs for us and served them with some really creamy scalloped potatoes and nice buttery brussel sprouts. Good ol down home cooking. What else should have been expected from a Kentucky-boy? I have to say, the ribs were excellent! I’m not just saying that because he’s one of the few who actually reads all of my blog posts. They really were delicious. The meat was fall off the bone tender, the spice rub and his homemade bbq sauce set off the meat nicely. My comment at the dinner table was, “Nick, I’d eat your ribs for free over paying for Honey 1 any day of the week!”. A couple other friends were there as well and between the 6 of us we could only muster enough stomach for about half of the fair. True to his good ol boy hospitality we were sent home with a half slab. Gotta love that! For dessert I made this Orange Kefir cake. I’ve been on a baking-with-kefir kick and wanted to continue that trend with something simple and tasty. 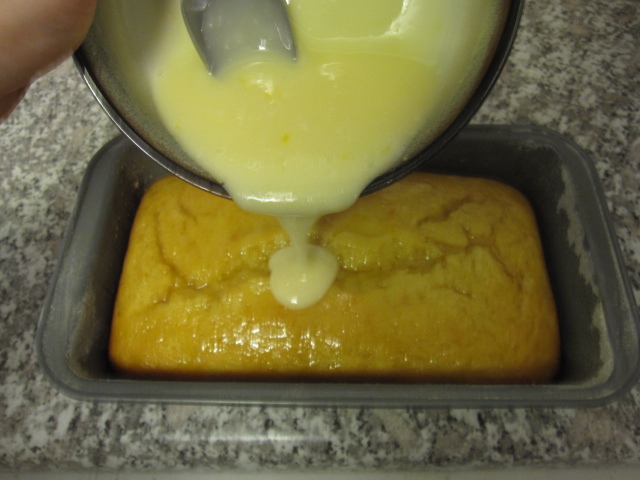 I found this recipe by The Barefoot Contessa herself for a Lemon Yogurt Cake. All I did was substitute the yogurt for kefir and the lemon for orange. It turned out great, nice and moist while not being too sweet. All in all, Saturday night was a tasty feast. Any time my buddy wants to smoke up some ribs I’ll be there to help polish them off.